Summertime for an independent author symbolizes more than just getting outside to enjoy the warm weather after a long, cold, winter, or getting the opportunity to write outdoors. It represents the beginning of one of the most significant times of the year: travel season. Comic cons, writing workshops, panels and other exciting opportunities which help to get out yourself out there to network and sell your book! After all, there’s no one out there who can sell your book better than you. You are the brand! I have emphasized before how being an indie author has its own unique challenges. You must work extra hard to get your book out there, and even convince some people why they should pick up your book when they do not even know who you are. Author signings are one of the best opportunities for this. 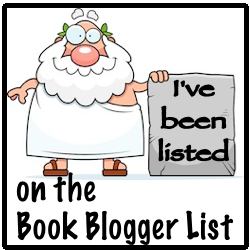 You will get to meet readers excited to learn about you and your book. There’s nothing like getting to see the look on someone’s face after purchasing your book and seeing you personalize their copy for them! I find at each author event I attend, I learn something new. And I’m equally surprised by how many things authors continue to do that they shouldn’t. If you’re an author, discover if you may be guilty of doing any of these things, and readers, think about how many times you may have seen an author do this. Presentation – The presentation of your author table is important. You want something that helps bring readers over to your table. Don’t just stack your books on the table! It not only looks sloppy, but readers are not going to want to waste their time picking through your mess. Is that message you want to pass onto your readers? If you only have one title, the most you will want to put on the table is a max of six books. Then, include other things such as your business cards, bookmarks, brochures, etc. Avoid being pushy – You will find just like any other sales environment, some people are just there to look. They may not even want to acknowledge your presence. Respect their boundaries. Don’t alienate your customer by making them feel uncomfortable! Not everyone is there to buy your book. Instead, encourage them to take your business cards. You may be surprised how many sales you get after the event simply because you permitted someone the opportunity to take their time looking over your materials. Network – There are going to be down times. Use that opportunity to network with other attending authors! Don’t sit behind your table playing or texting on your cell phone. Today I’m fortunate to present the very talented, Holly Hook, author of multiple YA Fantasy books including one of my favorites series – The Flamestone Trilogy. Hi Holly, thank you for agreeing to this interview! I’d say that I come from central Michigan. I’ve lived in this area most of my life. I think what makes a good story is getting to know a character and seeing how they change and learn in response to a conflict (which can be pretty much anything.) I like writing about the intricacies of characters and how they respond to each other and different situations. If you mean Tempest, the first book of the Destroyers Series, the inspiration was a dream I had after eating some mini burgers that I left on my counter by mistake for three hours. It took strange dreams to come up with a story about a human hurricane. I used to squeeze my writing in whenever, but now that I can (barely) just now support myself writing full time, I make sure to begin each weekday at 9AM. First, I work on romance (which I am writing under a secret pen name) until I knock out about 3,000 words or close. I then take a short break to get out and walk. Then I spend the second half of my morning working on my current Young Adult project and try to shoot for the same 3,000 word mark. I take a lunch break after that and spend my afternoon editing, creating covers, networking with other authors, looking for promo opportunities, preparing newsletters…there is so much to be done that I can’t list all of it here. It definitely takes about 8 hours of my day, sometimes more, but the great part is that my schedule is flexible and I’m no longer getting up at 5AM to drive 40 miles to an 11-hour a day job. My latest book will be called Death Magic and is a Young Adult urban fantasy. It’s the third book of the Abnormals Underground series. The first one, Blood Magic, is on sale now. I learned that I really enjoy writing about how people interact with each other, how people treat each other, and why people are the way they are. I think that working on this stuff makes me a better writer. Probably the best thing I could share would be the first few pages from Blood Magic, the first Abnormals Underground book. Otherwise, it wouldn’t make a whole lot of sense. My day was going real great. First, I had probably bombed my Algebra test and there would be hell to pay when Dad found out about it. Second, the sun was out in full force and all I could do was fake a migraine and stand in the doorway of Cumberland High School while my friends, Maisha and Janine, got to go out and do soccer practice with all the other Normal girls. And third, there was a creepy guy standing at the gate to the football field, staring at me. I didn’t notice the weirdo at first because I was busy stewing about my plummeting grade in math (again) and about the fact that I couldn’t stand being out in the sun for more than five to ten seconds without getting really sick. Thank you, other creepy people who bit me and my family years ago. And thank you, rare gene that let their disease take hold. Janine kicked a killer goal and Coach Lancey blew her whistle and shouted something. She glanced at me, to my shadow sanctuary. I drew back, hiding from her glare. That was when I saw the guy, a kid who had to be around my age. He stood there, silent, leaning against the fence like he was totally comfortable in his leather trench coat, brimmed hat, and sunglasses. He was only about fifty feet away, not close enough to make me uncomfortable but close enough for me to know he was studying me hard. My vision was better than Normal eyesight but those sunglasses were so dark that I felt like I was staring into a couple of black pits. Coach Lancey blew her whistle again. Over on the soccer field she waved at a couple of girls who were over on the perimeter, chatting away. I adjusted my own sunglasses to block out the unbearable light and checked the guy again. In the second I’d glanced away, he had moved closer. As in, he now stood leaning against a traffic pillar only ten feet away. His arms were folded across his chest. He stood a full head taller than me. His face was smooth and young, unshaven. His hair, long and scraggly. I hadn’t heard him take a step. No. I was not dealing with this right now. I hadn’t met another Abnormal other than Dad since I was two and the fateful bite happened on that country road. We, no they were out there, staying out of sight of both the authorities and human society. Everyone knew that shifters, human magic users, and even demons existed among them, blending in the best they could or staying out of sight. Schools taught kids to stay away from them just like they warned against strangers and above all, to tell a grownup if they spotted an Abnormal. The human ones who had magic were okay some of the time, but it was the ones like me, the ones capable of preying on Normals or worse, infecting them–we were guilty without a trial. Losing your job, getting disowned by your family and turning into human society’s punching bag were only the beginning. It was the reason I filed my canines down every morning. The guy continued to stare at me for what felt like an eternity. I couldn’t tell what his motives were. I caught no whiff of metallic adrenaline pumping through his veins, which was always a strong scent. He was calm but he also wasn’t going away. If I got into the shadows enough, I could try to fight the guy, but out in the sun I was too useless to even slap someone. I was stronger than the Normal girls, a fact I had to hide during practice, but I wasn’t sure what I was doing here. I could fence but my equipment was at Thorne’s Fencing School and that foil wouldn’t do much damage anyway. I thought about running down the hall and hiding in a classroom but that would brand me as easy prey, so I stood there and stared back at the guy. I never let my secret out to anybody so I wasn’t sure why he’d chosen me out of all the girls to eyeball. I was alone. Maybe that was it. I looked around to make sure no one else was standing there. All clear. Coach Lancey had sent the two girls to sit on the bench and the others were running around the field again, kicking at the ball. They were so far away, across a forbidden field of light. I was trapped until I could bum a ride from Janine and hide under the official Fake Migraine Blanket until she drove me home. “Are you trying to do some cosplay thing?” I asked. “What character are you?” I scrambled for anything and to not sound all freaked out. “I had a friend at my old school who loved cosplay.” I had to steer this conversation in another direction and fast. The guy stepped forward, keeping his sunglasses trained on me. The wind blew and the air got warm, almost crackling as he approached. The teachers always taught us that magic felt like that, to watch out for that sensation. He might be one of those humans who had it. Mages. There were supposed to be different kinds. “Alyssa,” he said. The world dropped out from under me. I hadn’t heard my real name spoken anywhere but home since I was two, since Dad had brought me here to Washington after our bites and bought us new identities on the black market. Even he had started calling me Roslyn when I was five and the last time I heard my name spoken was when Mom called us to check in a couple of years ago. It was then, as I stood there in stunned silence, that I caught the full scent of Mr. Trenchcoat’s blood. Adrenaline and stress were the strongest smells but most people gave off whatever they had eaten for lunch—I had to endure the afternoons in a cloud of greasy pizza, Mountain Dew and Cheetos—but this guy gave off the scent of wood smoke and something I couldn’t identify. He was definitely human but I had never encountered anything like it. “Alyssa,” he repeated like he was trying to make it sink in. I tried to come up with something to say to blow this whole creepy thing out of the water, but there was nothing this time. I felt naked, like this guy could see every flaw that was me. My disease. My secret that I hadn’t dared utter to even myself for years. So I did the last thing I should have done. I backed away, searching around for a weapon. There was a dust bunny on the floor and someone’s cell phone case by the lockers, smashed into pieces. If he attacked I’d have to use my fists. I had to act. This was dangerous and I needed answers. I lunged at the guy and grabbed the front of his trench coat. Now that I was more out of the sun I was stronger, strong enough to pull him towards me. I held him there with my left hand, pulling him closer and closer until I could feel his breath against my face. The wood smoke smell got overpowering now, so much that my stomach rumbled. I could hold my hunger back. I always managed it until I got to the freezer at home. “You’ve been watching me,” I said. “I suppose you peek in my windows and watch me undress, too?” That was impossible—or maybe not if he was some kind of Mage who could teleport. I always kept my blinds shut to keep out the sun and to hide…other things. But this guy had magic. I still hadn’t worked out what he was capable of. Maybe he teleported into my closet every night and watched the show from there. A stranger knew the secret Dad and I had been working years to keep covered. Even if he was a fellow Abnormal, he might be one of the more acceptable ones–he was human–so this made the whole thing not cool. I’d heard stories about some Mages selling out worse Abnormals to the treatment centers to save their own skin. Or maybe he just wanted to talk. I needed answers and punching him wouldn’t get me there. So I did something I wasn’t sure I wouldn’t regret. I let go of him. “Thanks,” he said, brushing off his coat. “Maybe we can get down to business now. Is there a room around here that’s a little more private than this?” He gestured to the hallway, which remained empty except for the janitor lady rolling a trash can out of one of the foreign language classes. The guy looked at me like I was some kind of freak. “Your Lit homework? Most Abnormals don’t have that problem.” And he snickered. I felt naked. If Janine found him with me or worse, caught him teleporting, suspicion would go on me next. She’d wonder why the heck I’d been talking to an Abnormal. Already I hatched excuses in my mind. “In the conference room,” I said, pulling open a door nearby. The light was off in here which was a welcome relief. I guided Mr. Trench Coat inside and closed the door, leaving us in almost pitch darkness. I expected him to freak out, since he was in my element now, but he stayed calm. My eyes adjusted quickly and I could make out the conference table within two seconds, and then the phone on the table, and then the shelf with all the stuffy old books on the walls. Everything was gray in my night vision. I couldn’t remember a time I’d been scared of the dark. Well, that fateful night. That was it. Mr. Trench Coat banged right into one of the chairs that I could clearly see. “Can we turn on the lights?” he asked. “I’m Xavier,” he said. “I’m a War Mage from Abnormals Underground.” He spoke like I should know what that was. “From where?” I asked. War Mages were some of the stronger ones and more in the class of Mages to be avoided. They were the kind known to shoot fireballs and roast their opponents and the media made them look like monsters waiting to happen. Maybe Xavier wasn’t planning to sell me out to the government after all. A Nature Mage would have scared me more. The government was more likely to work with them. “I’ve never heard of your group,” I said. “Where is this going?” I asked. “Of course I’m happy. If you’re looking to have us join your club, we’re not interested. Sorry.” Practice was getting close to ending. It must be. It was only supposed to go until four and the clock on the wall told me it was three fifty and sometimes Coach Lancey wrapped up early if she needed to pick up her daughter from daycare. “We’ve been doing fine,” I said. This was a revelation. “I’ll keep you in mind, though.” I moved back towards the door and put my hand on the handle, but remembered that he probably couldn’t see the cue. I started opening the door, but stopped when what he said sunk in. I had never told anyone that before. In fact, I’d never even said it out loud. We used wooden sticks and real swords for those along with actual armor. Thorne also instructed those classes but I was the only one under eighteen in those classes. The rest were college kids. Thorne and my father had worked out some deal I still didn’t know the details of to get me into the university club on weekends and supply me the equipment. Fencing was about focus but Kendo and Iaido–actually learning to “kill” with a sword–was actually about learning to hurt people. Or pretending to hurt them. It vented my aggression better than fencing did. “Everyone thinks we are,” I said, trying to ignore the fact that he also knew my history. Maybe Dad was the one I should be angry at. He’d betrayed my trust. Dad had always told me we would keep this whole thing a secret from the outside world, that the Normals would never figure out what we were. But Xavier wasn’t a Normal. I often wondered if I really had chosen to turn when I was two and just didn’t remember it. Some scientists said different but a lot of people didn’t believe that. I wasn’t sure if I did because the gene hadn’t been proven yet. It was a theory. Xavier waited for my response. Outside, the whistle blew again but he didn’t seem to notice. His wood smoke smell got stronger and my stomach rumbled. I was shaking and getting hungry. I had to get home soon and have a snack. Xavier kept his cool. I couldn’t tell what kind of expression he had behind those sunglasses. He reached into one of his trench coat pockets. “Take my card, at least. You’ll never know when you’ll need it.” He produced a cardboard rectangle and handed it to me. I took it mostly to humor him. It was a plain white card, with his shining name sunk into the paper in shimmering letters. XAVIER LOVELLI. His name was beautiful and perfect in the gothic font. Underneath it, more shimmering letters read APPRENTICE MAGE for ABNORMALS UNDERGROUND. There was a picture of two flaming, crossed swords in the corner and as I stared, the fire seemed to dance. It was the coolest business card I had ever seen, but I kept my face stony, trying not to show my amazement. Things like this got people in trouble. And the card was warm, like some life force was running through it. “Okay,” I said. “Thanks.” I’d take this card home and keep it but using it wasn’t something I’d have to do anytime soon. I heard footsteps approaching the school, scraping grass and then concrete. Someone was coming. Practice had let out. I had to get back to Janine, get under the Migraine Blanket in her car and have her take me home. Then I had to figure out how to get to fencing practice tonight. Dad wasn’t supposed to be home until nine or so and he usually drove me but he worked late shifts to avoid going out too soon on sunny days. I went to leave the room, but Xavier brushed past me and the wood smoke smell got even stronger. He opened the door, oblivious to the fact that someone was coming, and made a left down the hall. Before I could stop him, the double doors to outside squeaked open. I shoot to get out one book per month (in YA, anyway) and I like to write anything YA that’s fantasy, fairy tale, post-apocalyptic, you name it…I was thinking a straight science fiction series or dystopian series would be a great thing to try next. Right now, I try to stick with things that are popular with readers at the moment. I can usually find a good match between what I like and what readers are enjoying currently. That’s a hard one. I’ve spent a lot of money over the last seven years I’ve been independently publishing. Right now, I try not to spend much at all, but in the past the money spent building my mailing list through Facebook ads might have been the most valuable. That still benefits me to this day. Before I had found a publisher, my friend and former colleague, Frank Tobin, from when we worked together for actress Melody Thomas Scott (Nikki Newman, The Young and the Restless) back in the 2000s, advised me to start thinking about creating something to market with my book. Originally I had thought about creating a replica of the king’s Bynoch, which is similar to the manifested quartz crystal I wear around my neck. But then I realized I wanted something a bit more “cool”. In 2016, I commissioned Magical Alley, known for their beautiful, custom designed wands, including Pottermore wands, and there great customer service, to craft the wand known in my series belonging to the warlock, Mierta McKinnon! Magical Alley started in 2004 as a dream to have a company that would be creative and fun, designing wooden products of the utmost craftsmanship and at a price that would be affordable. Their unique items range from lathe turned magic wands, many various hand carved or crafted artistic items. They offer one on one consultation with their customers, to create their very own custom designs for wands, wizard or walking staffs. Head of Magical Alley, is master craftsman Timothy Wood. He has been a professional craftsman with 30 years of woodcraft skills, ranging in Antique Restoration to Cabinet Making. Check out the video below of Tim demonstrating his craftsmanship! Then, something “magical” happened. 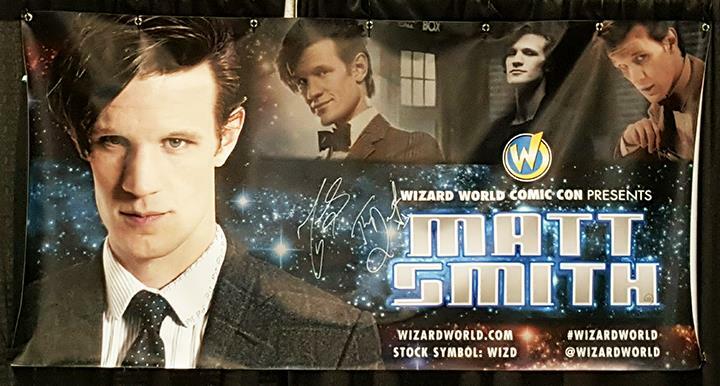 I learned actor Matt Smith, who inspired my main character, Mierta McKinnon, was going to be appearing at Wizard World Cleveland, which is where I grew up and my parents still live. A thought started to turn around in my head that maybe I could bring the wand to him and he could sign it! Then for the rest of my days whenever I needed some extra inspiration, I could look at the wand or even hold it, knowing it would forever be a special moment for me. I contacted Magical Alley and asked them if they would be able to get the wand to me by then for I had someone I needed to bring it to. Literally two days before the convention, my wand showed up at my door. I brought it to Matt, laid on the table in front of him, and just became lost in the moment. At first I don’t think he even knew how he was going to sign it. The wand cost the same as much as Matt’s VIP (just to give some perspective) due to rarity of the Gabon ebony wood. He stared at it for a while before signing it, picking it up, and swinging it at me. That moment is what changed my wand from just looking nice to doing something for me. Over the past year, this story has gone viral around social media. One of the authors of BHC Press had learned of my story and passed the word onto her publisher. That is how the beginning of my journey began. Sometimes one must give to the universe and sometimes the universe will even give back. Since, my brand, and my story has led me onto fantastic opportunities and connections with Genesee Davis, Rachel Caine, James Morris, Mini Matt Smith, DrWhoOnline, and Jake Dudman. I’m excited to see what the future has in store for me and thrilled to have you, my readers, along for the ride. When my publisher, BHC Press, began working on the research for the cover of The Rite of Wands in spring of 2016, they sent me a questionnaire to get an idea of what I was looking for and to assist them with their design. I had complete faith whatever concept(s) they came up with would be amazing. After all, they at just won a RONE Cover Award for Contemporary Design for their anthology – A Winter’s Romance! I gave them one requirement – put my wand on the cover. Back in late 2015, I had successfully completed half of what would later become the first novel in The Rite of Wands series. I wanted something to remember everything by, something that would forever remind me of my journey of becoming a published author. It brought me back to the first time I ever attended a Creation convention for one of my favorite movie trilogies – The Lord of The Rings. Members of the cast mentioned what they had “stolen” from the set to keep for themselves. That is the moment I realized what I really was after – the establishment of my brand. One has to admit as an indie author, there are multiple challenges on getting your book onto the market. You can’t just publish a book and let it sit on Amazon and hope and pray it becomes a best seller overnight so you can quit your day job. One of my author friends teased that someday I could find myself in the position like J.K. Rowling, who had recently sold a wooden chair she had sat in while typing Harry Potter for $394,000 at an auction. While it was cool to think about reality is that doesn’t happen for most authors. There are millions of books now on the market, and it’s becoming harder and harder to sell books. As a result, many books are never discovered, and authors are often forced to continue their outside of the home job in order to continue to afford the cost of editing, cover design, and marketing, instead of doing what they want to do – write! That is where your brand comes in. Your brand is constantly evolving. It helps communicate to the world what makes YOU unique, what you represent, and what readers can expect from you. So, what makes me unique? It’s not me, my story, my background, or my personality. It’s my wand, and the “magical” story behind it. So you want to sell books! happy to give me money purely because I am a poet. repeat here what I’ve said to them. One scheme that occurred to me was that the novelist could do ‘readings’. long have I taken. Novels are just so damned protracted. A gripping tale of murder and revenge. The book that everybody’s reading. sell. So perfect that some feel the need to hasten the process a little. and falling into conversation with other guests. jumbled musings available for a grateful public. Diamondz Mix goes live with Mackenzie Flohr June 2nd at 8 PM EST /5 PM PST on Diamondz Mix and 94.2 Blazin!! Make sure you tune in to hear her Magical journey with her pen.